You know what are nice? Tailgates. You know what’s not nice? That tailgates are all-but entirely restricted to trucks and SUVs. But it doesn’t have to be this way. 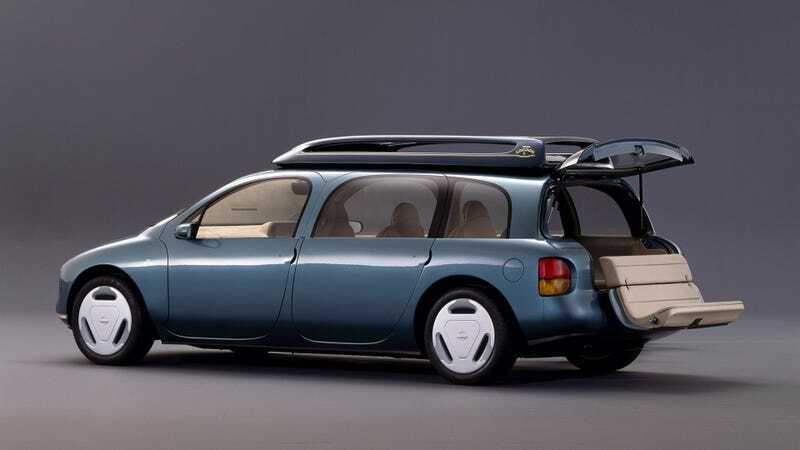 I present to you the 1991 Nissan Cocoon L concept. It was a three-row six-seater wagon thing, designed to give a “cocoon-like” feel for each occupant. Everybody got their own little captain’s chair. And everybody also got their own illuminating roof glow space. That’s one of my most critical features a car can have: glowing headliner. Important. I’ll also note that the car got a cool HUD, because it was the Bubble Era, and Nissan had to come up with as many different techy options it could to help justify higher prices and higher profit margins. In any case, the reason for pointing out this lovely concept was that it has a feature that should be common on all cars: a split folding tailgate. Does your car have that? Unless you have one of those lovely 1990s Civics, no, it does not. Your car has a trunk which flips up at a rear-mounted hinge. It’s the easiest way for an automaker to give a car a big, low trunk opening, so that’s what automakers give you. But is the traditional trunk the best? No. No it is not. Tailgates are better. Imagine yourself a Cocoon owner, coming back from a long and lovely hike. You walk back to your car at the trailhead and pop open that tailgate, relaxing for a moment, taking off your boots with ease, looking out on the wilderness laid out in front of you. It’s all there. It’s for you to see, you, the tailgate car haver, not to those still stuck with flip-up trunks.